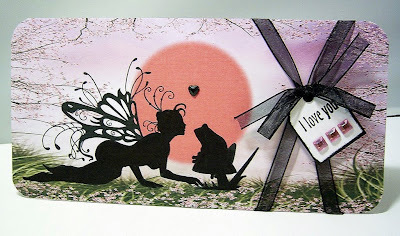 Thank you so much Julie for featuring my blog, I'm truly flattered and humbled that you like my cards. It's a wonderful compliment especially coming from a crafter of your talent. Very well deserved, Vince! You are so inspirational! LOve these cards and the images are so perfect of a time gone by. Love the hopscotch one particularly. will check out Vince's blog now.